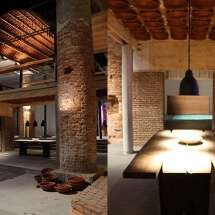 Anupama Kundoo, born in 1967 in Pune is amongst one of India’s famous Architects. She started her practice in 1990. Most of her work which got public attention was done in Auroville where she experimented with new styles and methods of construction using locally available material and labour. She has created some amazing structures using non-standard materials and methods of construction. Her structures designed in Auroville are mostly energy and water efficient and economically viable. 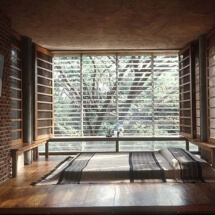 One of Anupama’s notable projects is the Wall House located just outside Auroville at Auromodelle which is an area designated for research and experimentation in design. This is the Architect’s residence in Auroville and was built in the year 2000 at a cost of just Rs. 10,00,000 (Ten lakh / One million INR) and the covered area is around 100 Square meters or 1100 Square feet. 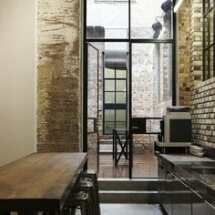 The house is built with ‘vernacular’ materials like compressed earth, bricks and steel. 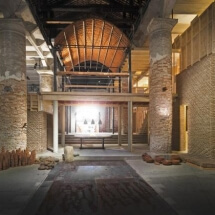 A replica of the Wall House was made and exhibited at the Venice Biennale of Architecture. In 2014 she shifted to Europe where she runs her current practice and works at the European School of Architecture and Technology. 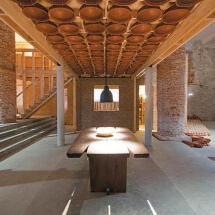 This entry was posted in Architect's Pick and tagged anupama kundoo, architecture, architecture in Auroville, design, indian architects, sustainable architecture, wall house. Bookmark the permalink.